PRAYER PROMPT ••• I think I have a favorite new Psalm. I read Psalms 91-92 this morning and there is so much wisdom and insight packed into these chapters. Or probably more accurately, God knew today was a day when I could benefit from a stronger understanding of this passage. Moses wrote this particular Psalm, and I want to ask you, can you declare this statement too? 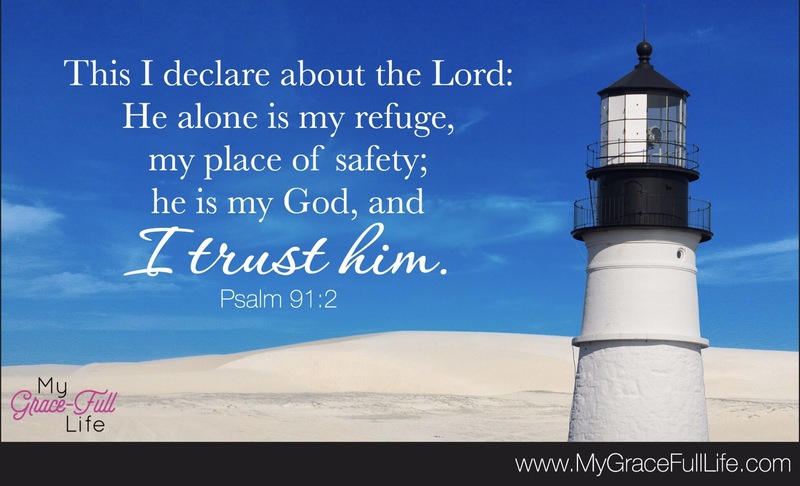 Is He the one you go to when you’re in need of shelter, protection, reassurance, comfort, rest, or rejuvenation? When your faith needs strengthening, where do you go? Then, we come to the “He is my God” statement. And do you say it? I am challenged when I read a verse like this. The voice of confidence in which it was written still resonates thousands of years later. There’s nothing wavering about these words. They are precise; exact; and bold. This is a Lee Greenwood-kind-of-verse. Today, as you pray, thank God for men like Moses, whose faith was so strong, that it endures as an example for us today. And thank Him that we too can proudly declare that He is our God too! That it’s a relationship we can own with all our hearts. Thank Him for providing all we need and being completely trustworthy.